Good news for all TechQuark.com reader, we are back with another giveaway. 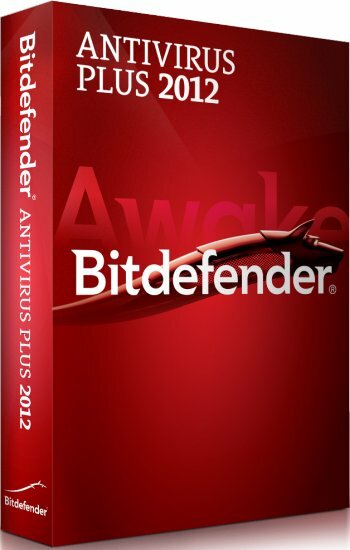 This time we are giving away 5 licenses of latest Antivirus Plus 2012 (cost $49.95 per license per year) from Bitdefender Antivirus to stay protected from all kind of security threats. 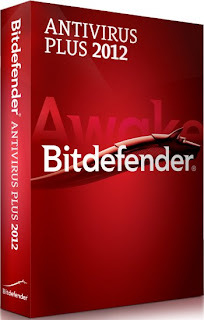 Bitdefender Antivirus Plus 2012 is an award winning antivirus for Windows. It provides your Windows based system full security against viruses, phishing attempts and spyware. Further you don’t have to be concerned for security and privacy of your social networking profiles like Twitter and Facebook, this is a feature which other antiviruses do not provide. Bit defender has proven itself on the top by winning the AV-TEST AWARD for Best Security Product of 2011 with the highest overall score in Protection, Repair and Usability. Unparalleled Security - Bitdefender stops emerging e-threats that other products miss due to its live and virtualized behavior-based detection, in addition to cloud-based services. Active Virus Control - Detects new & unknown viruses by monitoring processes behavior while they are running. Rescue mode - Reboots your computer in a trusted environment, which is used for cleanup and restoration. Virtualized Browser - Isolates the browser from the operating system in a Bitdefender-provided environment to block web-based threats. Vulnerability Scanner - Checks for missing or outdated security software as well as potentially unsafe system settings. Absolute Silence - Save time and avoid all hassles - the Autopilot makes the security-related decisions for you! Autopilot - Makes optimal security-related decisions without interrupting you. Safe Social Networking - Protect yourself and your friends from e-threats that attempt to exploit the trust you've built with them. Social Network Protection - Filters the links you receive from your Facebook and Twitter friends and monitors your privacy settings. Search Advisor - Gives advance warning of risky websites right in your Google and Bing search results. Total Privacy - Bitdefender protects your privacy and personal data with a range of specialized modules and functions. Personal Data Filter - Prevents critical data, such as your social security number, from ever leaving your computer. Antiphising - Blocks websites supporting various scams or credit card phishing attempts. Chat Encryption - Keeps your conversations private on Yahoo Messenger. Full Speed - No impact on the computer performance, as scanning only takes place when your system is idle. Scan Dispatcher - Triggers system scans when resource usage falls below a certain threshold. Don’t let go the exiting offer and win the best antivirus for your dear system.